These individuals are currently seeking election or re-election. Election results will be announced at the convention. Here we are again. My time is up for serving as your region one representative on the Montana Bowhunters Association Board. But of course I would be happy to serve another term if you choose to vote for me once again. For those who don’t know me here is the scoop. I love to bowhunt and I’ve been doing it for 35 years. I also try to give back to the sport because I love it. I started teaching bowhunter education in North Idaho when the program was first introduced in Idaho back in the 80’s. I moved to Montana in 1996 and after a few years off while raising kids as a single parent I got back to teaching in Montana. Elk is my fi rst love, but I have also hunted and harvested whitetail, mule deer, turkeys (and a few thousand ugly carp). I also like to get out and fi sh, but the past couple of years I have been focusing a lot of time and effort into training and hunting my two Wirehaired Pointing Griffons. The boys (aka Moose and Bolt) are my second chance at roaming the woods and field with the exuberance of youth as my human children are all grown up and gone. I am also blessed to be married to a good woman who shares my passion for bowhunting. Together we edit the magazine, however I believe it’s no secret that she is the driving force behind that part of the job. If you wish to vote for me I would gladly continue to serve on the MBA board. There continues to be work to do to preserve and protect bowhunting and I will do what I can. Hello everyone my name is Brian Koelzer. I’m a 34 year old Gallatin Valley native who calls the Bozeman area home. A stone mason by trade, I am currently a partner in the family business. Lucky for me my profession keeps me in good shape and affords me a good amount of time in the woods. In addition to the MBA I’m also currently a member of Bowhunters of Wyoming and The Pope and Young Club. Bob Savage, MBA member #1, made me my first bow when I was born. The year I turned six my father gave me that bow and a couple of blunt arrows. At age nine a three pound carp somehow ran into one of my arrows fl ung from that little #15 recurve and became my first bow harvest. Bowhunting has been a driving force in my life since I was a young boy. I used to spend hours looking at the pictures in my dad’s photo albums of guys like Paul Schafer, Gene Wensel, Barry Wensel and Lee Poole. Their majestic animals and amazing stories made me want to be a bowhunter. Exclusively a bowhunter since my first archery season back in 1992, I’ve been quite fortunate to successfully bowhunt a variety of big game species all over North America. Through my travels I have met and befriended many people from far and near and it is in talking to those people that I have realized how truly blessed I am to call Montana home. For the past eight years I have been a bowhunter education instructor in the Gallatin valley. I’ve found it to be a very rewarding experience and it has progressed into me wanting to become more involved in the MBA. I’m not a huge advocate of “changing” bowhunting here in Montana. I believe protecting what we have is more important because from what I’ve seen elsewhere around this country I don’t think we could have it much better! My name is Barrett Haugan. I was born and raised outside of Bigfork, Montana. For the last 33 years my family has involved me in many different outdoor activities throughout my life. I started hunting at the age of 12; however no one in my family had archery hunted in the past. 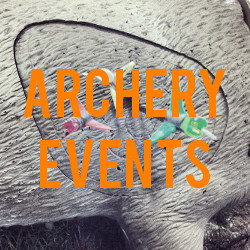 I began pursuing archery hunting around the age of 19; from there I fell in love with the sport. Most of my youth revolved around a busy schedule of sports and school. I played football, baseball, basketball and track and field. Because of this I didn’t have a lot of extra time for hunting at a young age. After graduation I was able to spend a lot more time in the woods pursuing my passion. I also had the opportunity to study Fish, Wildlife and Biology Management at Flathead Valley Community College for two years and one year at Montana State University, Bozeman. I then began a career in road construction, leading me to start a business of my own in concrete construction. My main reason for taking this route was to open up some time for myself and allow more time for my love, hunting. It turns out that owning a company is far more work than one would think. Now in the little spare time I have, I try to get out and hunt as much as I possibly can. I am also a videographer and producer for into High Country, a television series on Sportsman’s Channel. Luckily, I have been fortunate enough to have had the opportunity to hunt many different species in a wide variety of locales, from the frozen tundra of Alaska for muskox, the summer tundra for caribou, to the interior for grizzlies, Alaskan moose, and mountain goats on Kodiak Island. I have also had the privilege of black bear and whitetail hunting in Saskatchewan and Alberta. Most importantly is my experience hunting the great variety of species in Montana. I have taken part in hunting and pursuing all the different types of big game animals in Montana, from helping my brothers pack out their animals to filling my own tags. My greatest love by far is being outdoors, packing horses or hiking throughout the state the mountains will always be in my blood. Helping with this organization and to better and prolong the future of hunting for the next generation would be a great honor and I would be pleased to be a part of it all. Hi I’m Bob Morgan from Colstrip Mt. and I’ll be running for a Region 7 representative again this year. I’ve been bowhunting since 1998 in Montana. I grew up in South Dakota and at that time myself, my four sisters and a brother all made bows out of willows on the ranch when I was 8 or 9 years old. My uncle showed us how to make a willow bow by cutting willow shoots and using baling twine tied on both ends. Wah-la, you have a bow. Next, some straight willow shoots for arrow with a string groove cut in the end and you can shoot them at your sister….just kidding. I bought a Wind recurve in 1975 and shot it a lot. Now I make and shoot selfbows and also shoot recurves and longbows. The fellowship with other like-minded bowhunters is what keeps me going and there are always stories to be told when it involves hunting. I also continue to get out there to see what’s over the next hill although that’s getting more difficult. I’m 65 but still going strong. I love to show the younger generation about bows and bowhunting and I’m still learning and willing to work to further the opportunities for bowhunters in Montana. I’m looking forward to meeting more of you. Thanks for your vote and I hope to see you at the convention in Billings. * Pope & Young Club member for 27 years. * Montana Archery Association member for approximately 20 years. * The Montana NFAA representative for two years. over Montana until this program was taken over by MT Fish Wildlife and Parks. Bowhunting is my whole life – I have never wanted to do anything else. I hope with the years I have left I will not have to slow down. I married my wife Melanie that I met here in Kalispell in 1977. We have two kids Cody and April, and 3 grandkids: Brooklyn, Maddox, And Payton. I spend part of each year in Kalispell and the rest in Landusky in the Missouri Breaks, always planning my next hunt. My name is Raymond Gross and I live in Dillon, Montana. I have been bowhunting for 46 years. I started in 1966, when I was 15, with a hand me down longbow. After I shot my fi rst whitetail, I was hooked. I have bowhunted every season since 1973 after I graduated from college. I worked for the U.S. Forest Service for 31 years as a Civil Engineer and Land Surveyor. Many seasons I have taken an elk, antelope and whitetail with a bow. In 2000 I took a bear, moose, elk, antelope, and whitetail with the bow. I joined the MBA in 1984. I am also a member of the Montana Wildlife Association, Montana Sportsmen Alliance, Trout Unlimited, Montana Wild Sheep Foundation, Montana Hunters and Anglers, Beaverhead Hunters & Anglers, Rock Mountain Elk Foundation, Boone and Crockett Club and Montana Fish, Wildlife and Parks R3 Citizens Advisory Committee. I am on the board of directors of the George Grant Trout Unlimited Chapter and have served on several Fish, Wildlife and Parks citizen’s advisory committees and working groups. One of these groups was the Archery Elk Working Group in 2011. Because of the privilege of serving on this working group, I gained an in depth knowledge and insight on the limited archery elk permit regulations. I was a MBA board member from 2010 to 2013. I am dedicated to promoting and protecting the sport of archery hunting and the wildlife we love and enjoy.